We’re here at NRF 2019! And Manthan has taken the time to catch up with other NRF and retail experts. We spoke with Randy Crimmins, EVP/Chief Strategy Officer at Relationship (formerly GoThink!) 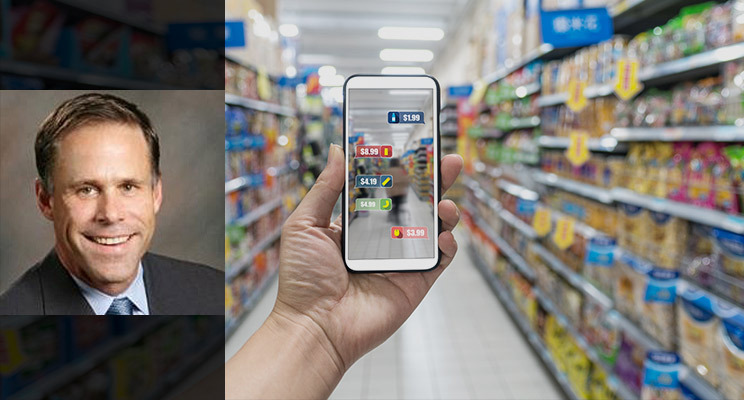 to understand his expectations in omnichannel marketing, retail technology innovations and the AI-driven future of retail grocery store chains. 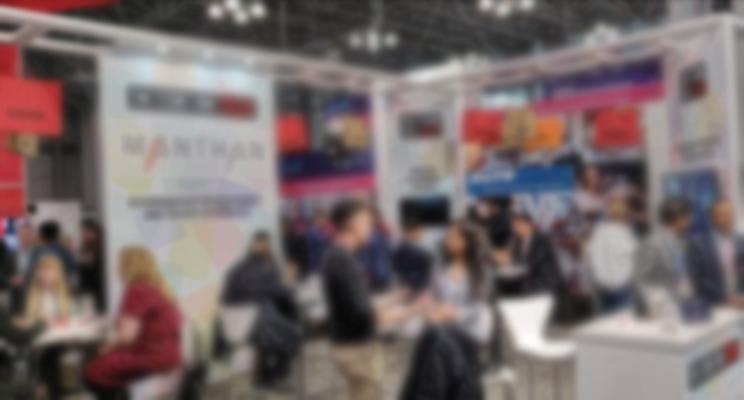 MANTHAN: What innovation are you most looking forward to seeing at NRF 2019? RANDY: For me, it’s all about the connected shopper. I’m interested to see what tangible progress companies are making in terms of creating a truly connected, personalized retail customer experience without and within the store. What advancements are being made to help retailers 1) truly understand their customers holistically and 2) leverage that understanding to relevantly and personally engage with each of them throughout the shopper journey, online and instore? MANTHAN: What does the ‘store of the future’ or ‘the intelligent store’ mean to you? RANDY: I go back to the connected shopper. The intelligent store furthers the connected experience bridging the shopper journey and digital engagement from outside to inside the store. For example, I receive a welcome message via push notification when I walk in the store that alerts me to personalized marketing deals available for that visit. These offers are automatically added to my digital shopping list and highlighted on my digital aisle map in my mobile app so I can easily locate them. When I check out, my account is recognized as being a top customer, which automatically notifies the front end or store manager on her app, who casually stops by to personally thank me for shopping and make sure I found everything I was looking for that day. 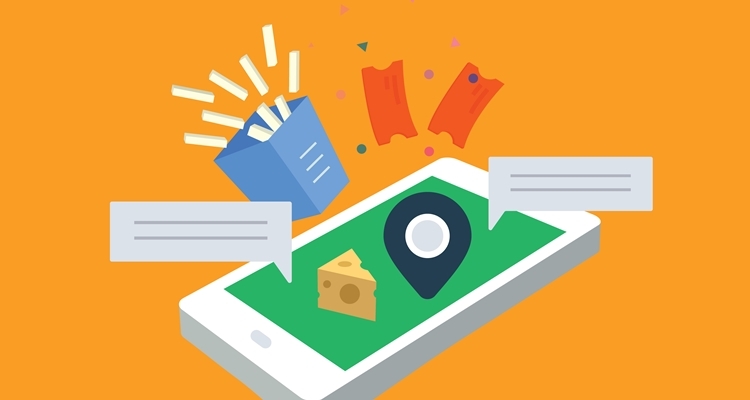 The connected shopper experience leverages integrated retailer systems, customer data, the utility of the mobile app, location services and omni-channel engagement—essentially leveraging high-tech for high touch inside the store. That’s the future and it’s here now. 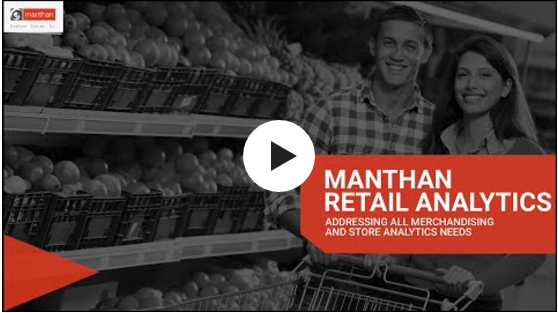 MANTHAN: What would you say are the top three things grocery retailers need to focus on in 2019, to compete profitably? RANDY: 1. Infrastructure 2. Infrastructure 3. Infrastructure. Focus on creating the right infrastructure, integration, and processes needed to create highly personalized, relevant connections with your customers online and in-store. Too many retailers are reaching first for the bright shiny objects, without fully understanding the infrastructure needed, or the vision and planning required to deliver the kind of connected customer experience that shoppers are going to demand. Retailers end up with disparate systems and cobbled together processes that don’t integrate, communicate or scale. Walk around NRF… incredible applications, technology, and solutions everywhere screaming their features. As a retailer, you have to step back, define your vision, create a plan and focus on creating the right data, digital infrastructure and enabling technologies necessary to serve you and your customer’s long term. Digital investment is not a marketing line item—it is as important of an investment as those routinely made for software and hardware in other areas of your business. Change the mindset. MANTHAN: What are the top omnichannel marketing challenges that retail grocery store chains are still trying to overcome? 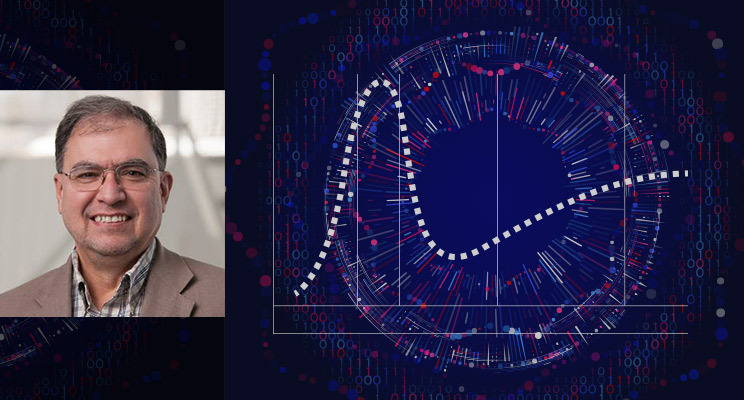 RANDY: Retailers are challenged to create connected customer experiences that leverage all channels, and more importantly each shopper’s “channel of choice.” Retailers are also challenged by data integrity and a singular understanding of a customer — “one version of the truth”. 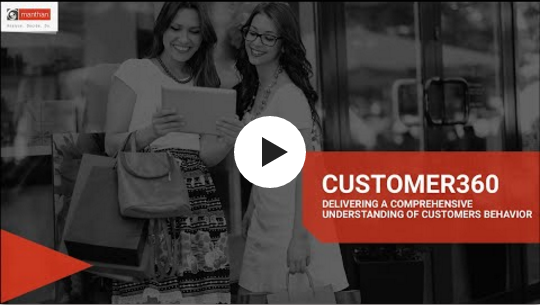 Customer account data and integrity is a fundamental and critical component to successful omnichannel engagement. On the back-side retailers struggle with understanding performance attribution. What/why/how do customers respond to offers, engage with the retailer online and in-store—what device, which campaign, promotion and offer, and taking it further, what was the associated ROI, or incremental gain at a customer level. These are mission critical aspects of being an effective omnichannel marketer, yet the majority of retailers don’t have a clear or complete picture of their efforts or results. MANTHAN: What recent technological innovation have you seen significantly impact retail marketing? RANDY: Big Data and machine learning have disruptive potential in retail marketing. Take for example the process that every grocer does of creating the weekly flyer. The majority of supermarket chains today probably still build their ad based on spreadsheets and historical patterns, just like they have for the past 30 years. It is an incredibly labor-intensive process, probably occupying 30-40% of the merchandising and advertising teams’ time each week. Big Data and AI could transform this process to streamline the workflow, as well as recommend the items that should go into the flyer based on localized customer data, historical purchase behavior, seasonality, trending, inventory levels, even weather-related data. There’s no reason why using AI a retailer could not automatically build the weekly flyer without any manual intervention. You can also take this “intelligent” flyer concept further online, by taking all the advertised items for that week and presenting them to each shopper in a personally curated form. A truly personalized marketing solutions for every customer, every week. We are doing this today and seeing significant gains in terms of engagement, incremental activity, and ROI. 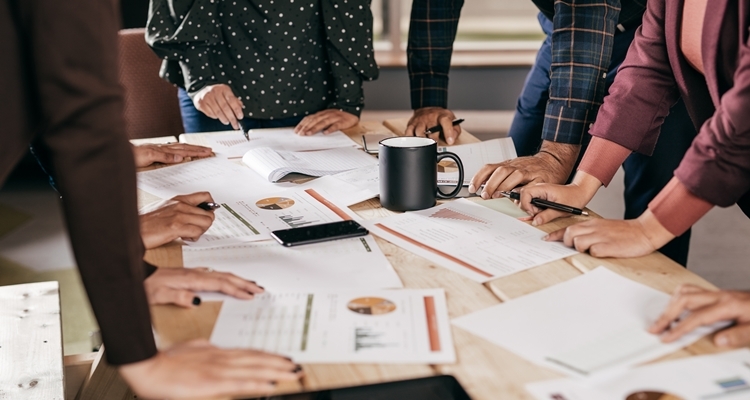 You roll it all up and the total efficiency and effectiveness gain potential are huge, and that’s just one marketing vehicle. MANTHAN: AI promises to make data-driven processes more intelligent. 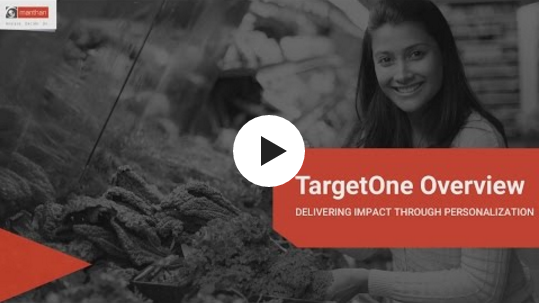 Which retail segment do you foresee experiencing the biggest impact? RANDY: AI and Big Data are beginning to transform retail marketing. Of all the retail verticals, grocery has typically been a laggard from a data sophistication and technology standpoint. The irony is that supermarkets typically have the most data and transactional volume, pioneered the capture of individual data via loyalty programs, and yet they lag other industries in their ability to leverage all this customer information for the betterment of their business. If any industry is poised to reap the benefits of AI for marketing, it has got to be grocery. There is so much upside. The one example above with the weekly flyer could be connected to the inventory system for automatic ordering/replenishment. In fact, we are seeing AI being used by forward thinking companies like Manthan to manage inventory, minimize shrink, optimize assortment and promotional performance. Disruption is coming to grocery and it will be led by big data and AI.